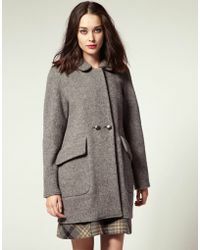 Hobbs has been outfitting fashion forward women with understated, glamorous top-to-toe looks since the brand’s foundation. A true heritage label, Hobbs relies on the fusion of classic shaping with contemporary cuts and catwalk inflections to create a range of wardrobe staples and statement pieces for the style conscious buyer. NW3 is their diffusion line aimed squarely at the youthful, confident girl about town. Explore the full range and discover playful, printed dresses, cropped blazers, colour pop bomber jackets and embroidered tees. Shop the full range of Women's NW3 by Hobbs Clothing, Shoes, Accessories and Handbags.